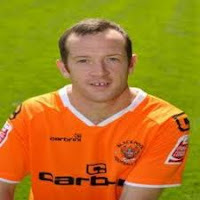 Charlie Adam will hand in a transfer request today as Liverpool step up their efforts to land the Blackpool skipper.The Reds last night offered £4.5million for Adam but it was swiftly knocked back by the Seasiders. They rate the Scottish midfielder at double that, having earlier snubbed efforts from Birmingham and Aston Villa. Blackpool boss Ian Holloway, who claimed Villa's bid of £3.5m was an insult, said: "Charlie has signed a contract and someone can come in but it's not his choice and it's not theirs." Kop caretaker Kenny Dalglish has earmarked Adam as one of the men to spark his Anfield revival.